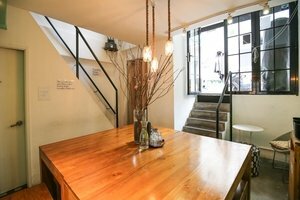 This delicate cafe, with the size of 525 square feet, is nestled in the up-and-coming neighbourhood of Sheung Wan, where more cafes and galleries are flourishing in every nook and cranny. 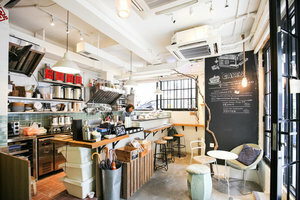 This cafe is definitely an ideal spot for brands or artist to organise their pop-up stores, photo-shooting, art-related events or even exhibitions. 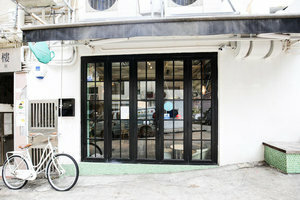 The cafe is located on the ground floor of a vintage style residential building. 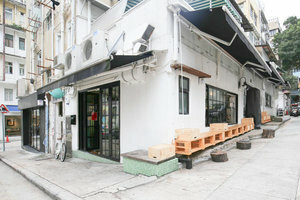 In the front of the cafe, there are chairs made of wooden cases and tree trunks, where visitors could sit and chill out. 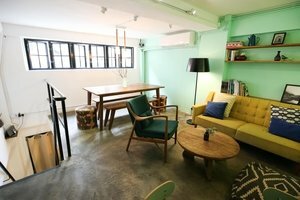 For the interior, the ground floor of the cafe has white walls and concrete flooring creates a modern and stylish feeling. 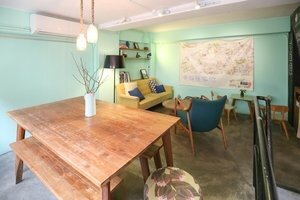 Moreover, it has an annexe upstairs area with a green colour scheme, decorated with sofa crease and chairs in different shades of green, creating a vibrant and lively atmosphere. 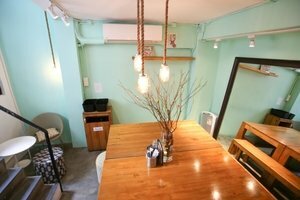 There is also a self-service area. 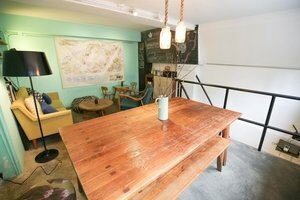 The cafe has two toilets, a kitchen, a stockroom, an audio system, a bar, furniture, air-condition and Wi-Fi, which can definitely cater for every event needs.